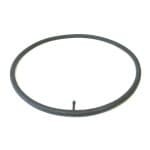 Wheelchair Brake Extensions is perfect for wheelchair users who find themselves overreaching for their wheelchair brakes constantly. 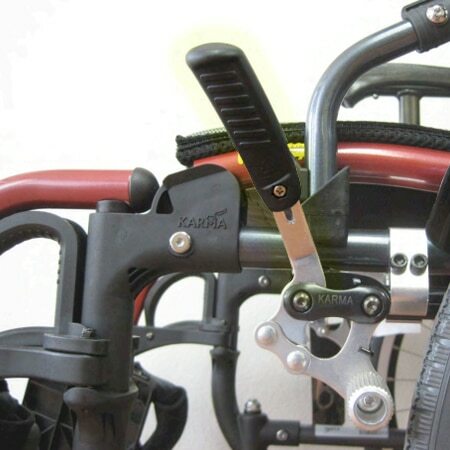 This type provides more leverage and a good wheelchair brake should be effortlessly to engage but provides a solid STOP in locking in the wheels for safety. Karman has several types and generations of designs for this unique design. For replacement parts, SN year model and make are all very important to ensure you get the right replacements. 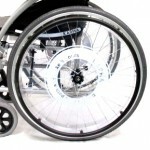 Wheelchair brake extensions are used to provide the user a mechanism that extends outwards for them to use while seated. This allows a user to use the brakes that may not be able to reach the brake lever otherwise. The extending brake tip is very convenient for people to need a better grip when they are braking on their chair.